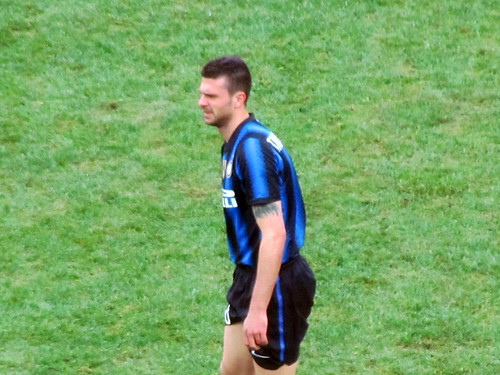 Thiago Motta’s contract with Inter Milan is set to end on 2013 but no indication of a renewal arrives from the club as just yet, this situation apparently gives a little bit concern for the player’s agent, Dario Canovi. Although acknowledging that there’s still quite a lot of time to talk over the renewal, Canovi expect that Inter would give an immediate decision about his client’s future and not delaying things until the final months of Motta’s contract. The agent obviously wanting much more clarity about his client’s future, so next summer Motta can have more focus in playing football instead of worrying about where he would be going after his contract expire. It’s always important for a player to get clarity about his future a year before his agreement ends because when his deal is up, he can move to any club on a free transfer agreement, which some clubs tend to avoid. Motta has been having a pretty uninspiring season so far as the Brazilian born Italian international spent quite a lot of time in the treatment table instead of the playing field, especially in the earlier part of the season. However, since returning from his injury, the former Barcelona player has been an important part of Claudio Ranieri’s team revival process which pretty much working in the right direction at the moment.